Growing a design business using social media has become an integral part in the overall marketing strategy. This applies whether you are just starting or if your business is a large corporation. Nowadays, everyone seems to be talking about how powerful social media can be for growing any business. For instance, it can quickly propel your online presence and boost the number of leads and customers you get on any given day. The old-fashioned ways of advertising a business no longer works. The older methods that were popularly used for advertising are no longer as effective as they used be. Simply putting an ad in the local newspapers will not yield the desired results. For this reason, designers and numerous other business owners are resorting to social media as a platform for earning more profits and growing their businesses. In fact, most budding entrepreneurs understand the essence of having a good presence on social media to maximize on the potential of a brand. Despite this, it can be rather challenging to start from scratch. 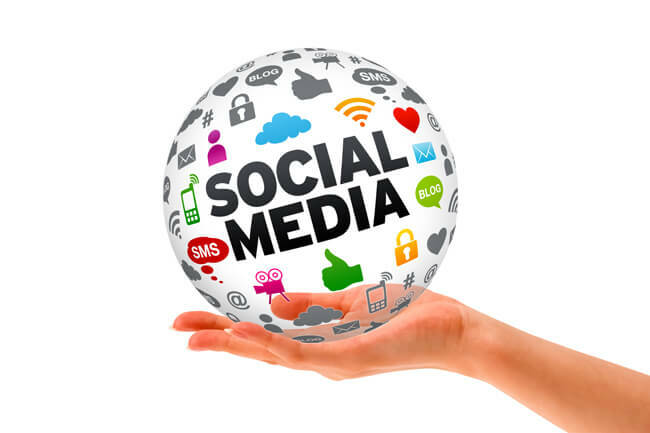 Therefore, we provide some tips below to help you improve the presence of your business on the social media scene. This is a simple guide to using social media for designers to keep growing their businesses. Never assume that all your posts are seen by all your followers. This can be attributed to aspects like the fast-paced nature of the social media environment, algorithms, and also the user factor (people tend to log in at different times). Posting on a regular basis boosts momentum and increases your chances of reaching a larger audience across different social media platforms. Consistency is something you should also apply as this makes your brand more recognized. Also remember to interact with your brand by sharing posts, liking and retweeting as often as you possibly can to reach even more people or prospective customers. Furthermore, posting frequently has been proven to keep fans and clients loyal to a brand. Doing so allows them to check regularly for new information. This may seem too obvious; but it is necessary to provide your followers great content for your design brand. This is why it is worth mentioning. Nevertheless, your social media page should never be purely about you. In fact, the worst known pages created by business owners so far are those that offer only promotional content. This is a guaranteed way of losing your fans and followers. If you understand the interests of your audience, you can go ahead and give them links to useful information, industry-related news and inspirational quotes. Varying content you provide on your design page is an excellent way of making it more engaging. Consequently, your readers will keep coming back to check on your posts. Great content gauges the psychology of your followers and readers. Also, it will paint a picture that you are an authority in the field and a go-to information source. Making your pages well-rounded is a great way of letting your followers and prospective clients appreciate the trustworthy nature of your brand. As a result, most of your prospective clients will turn to regular customers. When starting out, it might be a little challenging to build an impressive following; so, some design business owners may be tempted to buy followers and likes for their pages. Although this can boost your following, it is better to allow your design brand to build a natural fan-base. Twitter offers one of the simplest ways of getting a sizeable number of followers. You simply need to go out and interact with people who have similar profiles. Follow them, reply their messages and retweet their tweets. When you follow someone on Twitter, chances are they will also follow back. Facebook on the other hand is trickier. For a page to gather momentum as far as likes and fans are concerned, you would need to sacrifice a lot of time. Hold off the idea of purchasing followers though; since it is easy to determine whether or not likes are real people. This determination can be done by comparing likes to number of followers talking about your design page. If your page has 20,000 likes for instance and no one is talking about it, then you can be assured that likes you have gathered are not valid. Experts in matters relating to social media advise business owners that building a fan-base naturally offers the most excellent way of growing a brand. Better content often translates to better engagement. It costs you nothing to ask the more established pages to post your link on their pages or give you a shout-out on their pages or walls. Even if they decline to do so, no harm will be done. Putting out such requests provides your page with good exposure especially if you are targeting a specific audience. Inviting friends and relatives to like your social media page is yet another superb way of starting out. This will initially help you boost your follow numbers quite significantly. Sometimes, fans need some incentive before they can share, click or like. Therefore, you might want to resort to giveaways. You can tie it to a call-to-action. For instance you could say: Like our page to get a discount on our design services. Your followers will automatically compare the effort versus the risk-to-gain. This will obviously prompt them to click the like button or share your posts almost all the time. This is used to tell users what they need to do. Some of the most commonly used words to increase online presence are: donate, buy and subscribe. However, if you would like a more effective way of instructing your followers, you can ask them to like your post if they agree or request them to tag their friends. These are simple strategies that will no doubt propel your design business to greater heights by earning you more loyal customers and exposing your page to potential clients.